There is a Baptist Church in East Orange, New Jersey that celebrates Football Sunday to draw the menfolk in. Complete with a tailgate party after the service, this event may boost numbers, but the winner of this divine gridiron has not yet been determined. Not being a fan of football (or any other sport — oh, the heresy!) this particular tactic would not appeal to me, but knowing that when guys get together the topic of sports always seems to come up, well, it just makes sense. According to the canonical Gospels, Jesus never played football. (The Gospel of Judas, however, does mention a quarterback-sneak, I believe.) The few times I’ve watched games on television (generally under duress) I see a bunch of men trying their physical best to beat some other guys up. Rampaging after a pig-skin (definitely not kosher), they attempt to score and prevent the other team from doing so. This is my amateur analysis of what I am told is a very complex game. Rewind. Stop. Replay. The Baptist Church. Founded to protest against the vicissitudes of the Church of England, the Puritan-inclined Baptists wished to establish a church free from the constraints of the formalism inherent in the staid worship of either Roman or Anglo-Catholic England. Breaking from tradition was an honored principle here. Like our football heroes, they joined a team against the competition for that Super Bowl in the sky. Will the men stick around for the post-season slump? Maybe not, but as Notre Dame has always known, the divine man is a big fan of the Catholic team. A recent edition of Science Illustrated ran an article about a potentially revolutionary understanding of mammalian evolution. Reponomamus robustus, a large mammal from the Cretaceous Era has been found with dinosaur bones in its stomach. The implication, of course, is that this early mammal may have eaten dinosaurs instead of the conventional reverse of the scenario. Science is open to such radical ideas, but my thoughts turned to the culture war being waged on automobile bumpers across the United States. Several years ago the Jesus Fish or ichthus symbol began appearing on the backend of cars in what seemed at first to be a “baby on board” tactic with a don’t-ram-me-I’m-a-Christian subtext. Some drivers, however, associated the Jesus Fish with an evangelical power play, a showing of numbers that indicted all other drivers as “non-Christian,” and therefore, by implication, accident-worthy. The Darwin Fish showed up soon thereafter, a counter-symbol for those who seemed to be declaring that Christians could be evolutionists as well. Sensing a challenge — which always appears as a threat in neo-con eyes — the Jesus Fish or Truth Ichthus swallowing the Darwin Fish swam onto car posteriors. 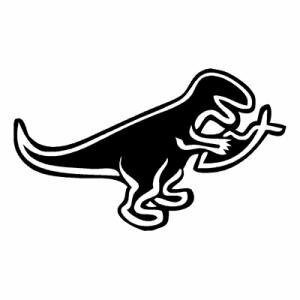 Then the dinosaur eating a Jesus Fish came out, and I am certain that I once saw a Jesus Fish eating a T-rex on some oversized vehicle hind-end. A friend once asked me why I spent my time arguing with those who are so obviously wrong (the anti-evolutionists). The unfortunate answer showed up in the White House at the turn of the millennium and the radical restructuring of society encouraged by the “religious right” gains credibility from the sheer number of people willing to adorn their cars with Jesus Fish. The real victim in this volley of statements in chrome is a guy who said nothing about evolution and who, I’m sure, would be amazed at how misrepresented he is. 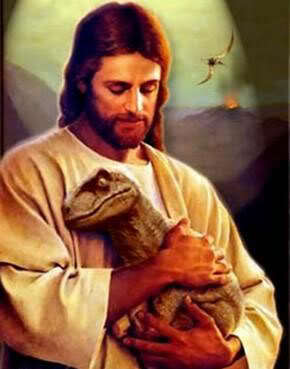 As the love-hate relationship between Jesus and dinosaurs continues to wax and wane, I’m staying out of it, but I’m more frightened by the fish than by the dinosaur. 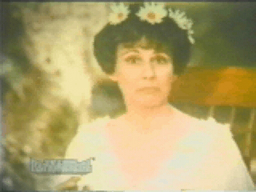 “Over the river and through the woods to grandmother’s house we go,” is an assertion to be taken literally in my case. Crossing the Delaware River and trekking through the forests of Pennsylvania are the only means to reach my childhood home from New Jersey. Each time I make the trip I am amazed at how strident the highway preaching along the way has become. Signs on both the interstates and the backroads announce the truths of a certain vociferous brand of Christianity that maintains that everyone must think that way or spend an eternity in hell. Having experienced this kind of fear-driven faith firsthand, I can’t protest too much without being labeled a hypocrite, but some of what I observed over the river and through the woods leapt out at me anew this Thanksgiving. Firstly it seems that Jesus saves big rocks. Several large, obtrusive boulders worthy of the land time forgot bear the message that Jesus Saves. Locally this form of homiletics can be as persistent as the Trust Jesus notes spray-painted on just about every interstate overpass between here and Illinois. A religiously aware lumber company in rural Pennsylvania hosts a sign declaring, “Read, Heed, Live & Obey the Bible!” When I think of lumber, I think of 2-by-4s and of their standard use of knocking sense into others who look at things differently. This sign said more than its owner might have intended. A few miles down the road I read, “Why not try Jesus? If you don’t like Him the Devil will always take you back.” The assumption, naturally, is that anyone reading the sign is already devil’s food. One of the great things about freedom of religion and freedom of expression is that such messages declare their writers’ fervent beliefs, but they hold no force beyond the rhetorical. Having met many sincere believers in other faiths over the years, I do wonder what kind of good news such non-negotiable advertisements really send. Some of the writers, I believe, are railing against the godless world they see around them (although the number of churches along these backroads would seem to testify to religion a-plenty) while others can’t accept any form of any religion that differs from their own, even if it be a different flavor of Christianity. Perhaps it is time I put up a sign advocating a vegetarian version of Thanksgiving — no turkey need die for anyone’s sins. In some religions such a message is considered trustworthy indeed. From the moment I saw Stephen Asma’s On Monsters summarized in the Chronicle of Higher Education, I knew I had to read it. 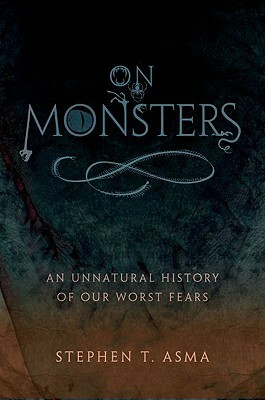 Having been fascinated by monsters as a child, and then having grown out of that fascination, this book is a respectable way to indulge my juvenile interests while learning something. The book’s subtitle, An Unnatural History of Our Worst Fears, reveals perhaps why I was so compelled by this particular volume. Those of you who follow this blog know that I contend that religion and fear are very closely related, well nigh inseparable even. As Asma delves into the origins of our monsters, he pauses for a while on the Bible. The ancient fascination with monsters very likely has religious roots. These beings appear to stand outside the rationally created order and lurk in places where the divine is not. The fear they engender leads to the very religion that shuns them. Vampires fear a crucifix, demons are banished at the name of Jesus, and even the headless horseman shuns a church. People run to their faith to protect them from monsters, and monsters, in their turn, provided early believers with a rationale for their faith. Once again the headlines tell the story of a child molested by a “celibate” priest now suing the church as an adult. That money dropped in the collection plate goes to cover the cost of sin. The disclosures continue to find the light of day not only in the Catholic Church, but across the religious organizational spectrum. It is an extremely unfortunate situation, but I can’t help wonder if religions are naturally susceptible to sexual expression. Sexuality and religion go back a very long way. I have suggested elsewhere on this blog that some of the earliest evidence for religion, all the way back to the Paleolithic era, is sexual in nature. One of the blatant aspects of our own cultural conditioning is that we can no longer see the connection. We inhabit a post-Victorian world, a world that strenuously repressed sexuality and removed it from the sphere of human discourse. One of my favorite examples of this is when the standard classical Hebrew-English dictionary (Brown-Driver-Briggs, for those of you who need to know!) makes reference to sexual activity in the Bible (and it is abundant), the editors delicately slip from English to Latin, so as not to offend the sensibilities of clerics and other gentleman-scholars reading the entry. This antipathy to the human condition can be traced even further back to the Greeks who felt that the physical body was much more base than the spiritual, or intellectual aspect. Sexuality was a source of embarrassment and perhaps even shame. Ancient sects were not sexually depraved. 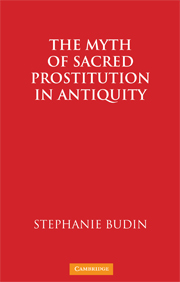 Stephanie Budin (The Myth of Sacred Prostitution in Antiquity, Cambridge, 2008) has done a good job showing that the case for sacred prostitution in the ancient world has been grossly overblown. Nevertheless, sexuality had a natural place in ancient religions. Any number of nervously giggling teenagers who’ve just discovered the Song of Songs in the Bible know that! The problem arises when our religious culture refuses to acknowledge the obvious. We bottle it up and try to keep it hidden, but when it finally appears the price tag is very steep indeed. Directly across the fold from each other on pages 4–5 of today’s New Jersey Star-Ledger are two articles that my brain comprehends as related by more than mere proximity. On page 4 the headline reads, “In sunless depths, marine life thrives.” In an Associated Press article bi-lined New Orleans (where many of my colleagues are currently enjoying the Society of Biblical Literature annual meeting), scientists reported that over 17,000 deep-seas species have been found below the point where sunlight ends. What was thought to be a barren zone just decades ago, it turns out, is teeming with organisms adapted to living without light. One page 5 the headline reads “Bishop admits barring Kennedy from sacrament.” In a ploy that has become distressingly frequent of late, the Roman Catholic bishop claims that Representative Kennedy’s political views on abortion effectively excommunicate him. I find it unconscionable that clergy feel that they have the right to direct public policy when they are not publicly elected officials. Any clergy attempting to coerce officials democratically elected are guilty of abusing their putatively divinely appointed trust. The millions of Catholic laity who privately support freedom of choice they may rhetorically chastise from the pulpit or by some papal bull but they do not deny them the sacrament. Let’s be honest here, this is about politics, not theology. I have been reading Max Blumenthal’s Republican Gomorrah, perhaps the scariest book I’ve ever read. In it Blumenthal demonstrates how the Catholic Church got onto the pro-life bandwagon in the intricate political maneuverings of the “Religious Right.” They quickly learned techniques up to and including lying to get their agenda across. It should distress all members of a democracy that their leaders are being led by dishonest clerics of all stripes. Those who mix their religious views with politics seek to end the religious freedom that allowed them to be born in the first place. They practice late-term religious freedom abortion. What does this have to do with the wondrous world of the great deeps? They represent, to my mind, two forms of life that thrive far from the enlightening rays of the sun. As the economy rolls along like a marble on a pebble beach and the stock market continues its own bumpy road to recovery, apocalyptic thought is again on the rise. It is when times are bad that apocalyptic comes in most useful. Individuals who feel that this world has run out of possibilities generally look to a new future world where things will be radically different. That’s why people flock to movies like 2012 and dream of a new day, a new era. That’s the way it has always been. Jews being tortured to death under Antiochus IV Epiphanes, the Seleucid tyrant, looked for that day when Michael would take on the “Prince of Persia” and the new world would gush in and overtake this one. Almost two centuries later the early Christian movement, suffering at the hands of Roman emperors such as Nero and Diocletian, reveled in the visions of Revelation — the new world coming. Rental property is free in the New Jerusalem! The earliest exemplars of apocalyptic thinking appear to go back to the ancient Zoroastrians. This early Iranian religion (which may have originated in Afghanistan) took comfort in a dualistic world where good and evil constantly struggled until a cosmic conflict would result in the ultimate destruction of evil. It helped to explain why things could be so bad for good people in the here-and-now. 2012, however, derives from concerns that the Mayan calendar seems to have run out of space at that time slot just over three years from now. Otherwise intelligent people panic; this is an apocalypse of the secular kind! Experts on the Maya (among which I am not) explain that the Mayans use(d) many calendars (there are still Mayans around). Their large-scale, 5000 year calendar may run out on December 21, 2012, but that doesn’t mean the end of the world. In fact, that calendar only began on August 11, 3114 BCE, about 4.5 billion years after the creation of the earth. It was not meant as a road-map to the cosmos. The real apocalypse is in the minds of those suffering from their own private ills in this world. Ever since Zarathustra spoke, people have had an alternative, better future to anticipate.